Ola, back again with another beautiful exclusive gown from *SoliDea FoliEs* for the Chic Management 2012 Vintage Fair. The Candida Gown really needs no words but her feathered collar held up with amazing pearls is just stunning. The gloves just top her off, along with the very vintage netted skirt. Bellissimo! 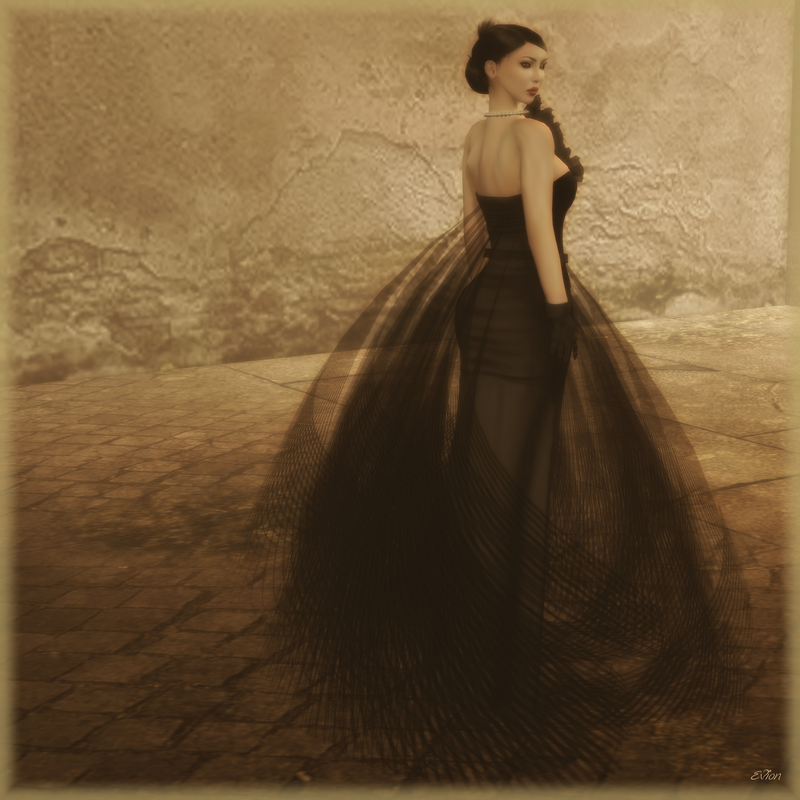 Posted in AnotherDamnSlBlog and tagged as *SoliDeaFoliEs*, Belleza, ChicManagement, PM, TuTy's, VintageFair2012.